Maggie's Big Home: A Load of Leprechaun Liveliness! A Load of Leprechaun Liveliness! 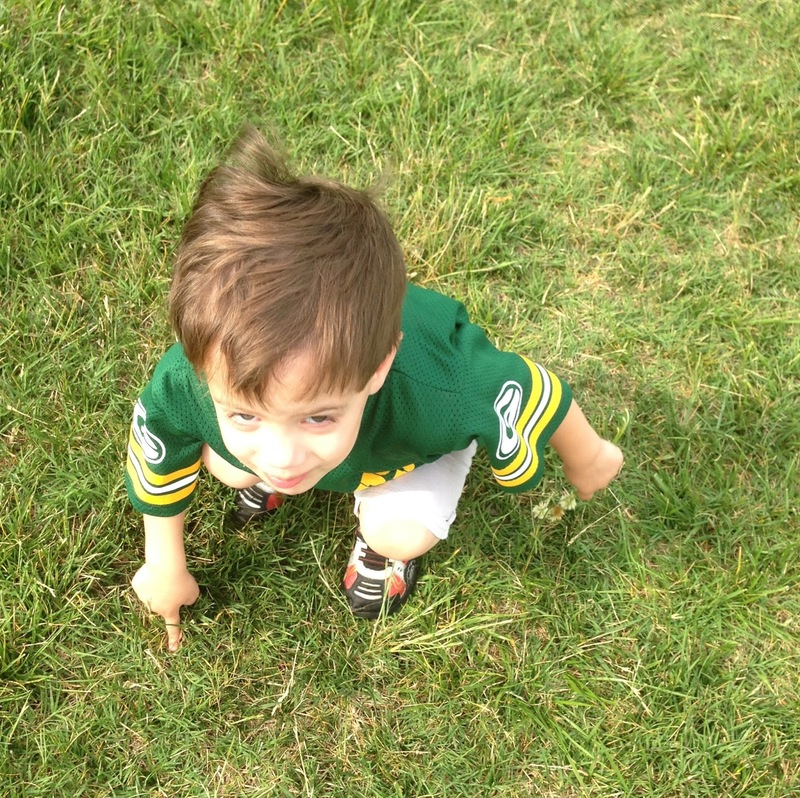 There are so many fun ways to engage your children as we celebrate St. Patrick's Day. From overturning chairs and books before children enter your room (those mischievous leprechauns!) to leaving green footprints on washable surfaces such as counters and bathroom floors to hiding chocolate "gold coins" for children to discover, hilarity can ensue! This day can make memories for years to come, for even our youngest children. But you don't have to spend a lot of time to make greenery the theme of the day. 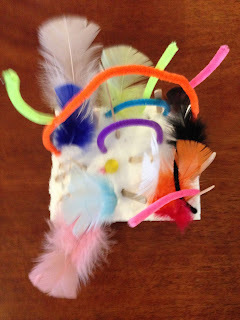 Encourage children to raid your scrap box and create leprechaun traps. Children can then demonstrate verbal skills by explaining what they made and how that little leprechaun can be caught. The child who created the trap below talked about the leprechaun being tickled when caught in the feathers! Pinching leprechauns? 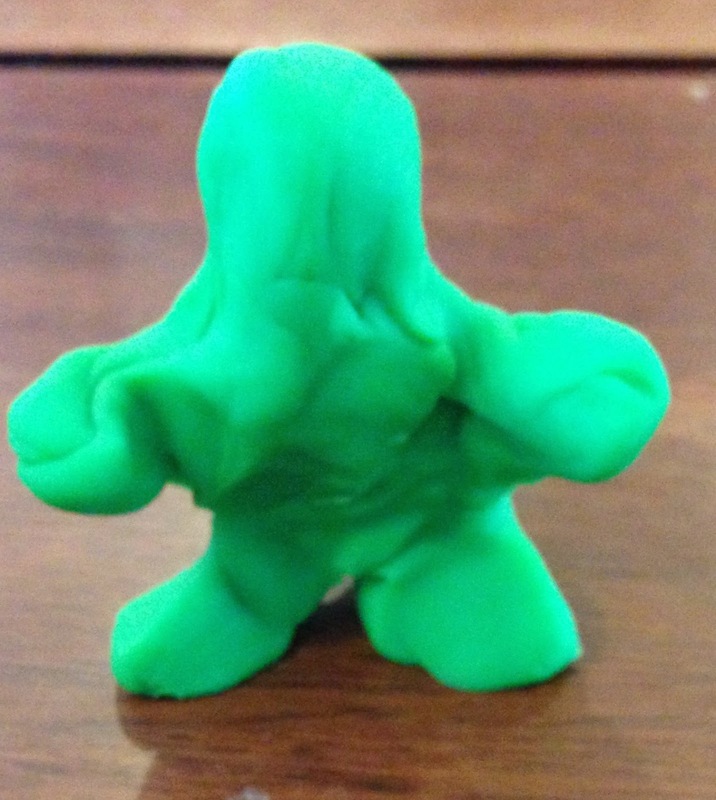 Children can simply make a leprechaun from green clay. Show them how to roll the clay into a ball and pinch parts of it to create the head, arms, and legs. Put them together and take a photo of the leprechaun line. 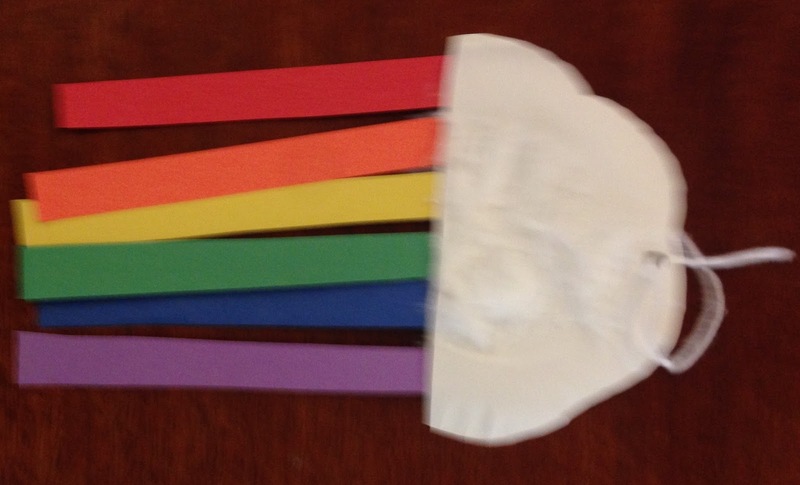 Take advantage of looking for the end of the rainbow by making rainbows from strips of paper as shown below. Children can see the colors of the rainbow. They can use glue to put everything together, including adding a fluffily cotton ball to the display. This develops fine motor skills. 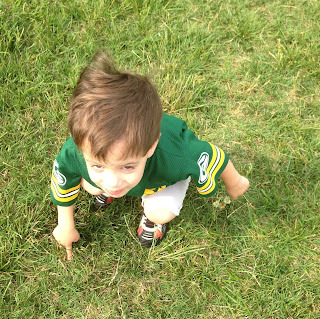 Finally, simply encourage children to enjoy the out-of-doors and have them scan the ground for a four leaf clover. It doesn't matter if any are found. The important aspect is looking carefully at a small habitat and possible seeing the tiniest creatures that call this small space home. Head Start - I.D., III.C., VII.E., X.C., & XI.B.